Dunk it, drop it, use it. 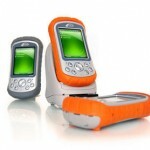 The Archer is a rugged PDA built for the field. It is waterproof and dustproof (IP67) featuring long battery life, sunlight readable display, and operation in extreme temperature. Integrate GPS, WiFi, RFID, barcode or data acquisition functionality with the Archer by adding peripheral devices sealed with an extended cap. Depend on the Archer today and tomorrow for your field information technology. Designed for the most demanding field applications, the Archer is the perfect companion for everything rugged. This rugged handheld computer can survive five foot drops onto concrete, full immersion in water, and temperatures up to a scorching 140° F. The Archer is fully waterproof and dustproof, earning it an IP67 rating. It is also tested to MIL-STD-810F for water, humidity, sand and dust, vibration, altitude, shock and temperature. 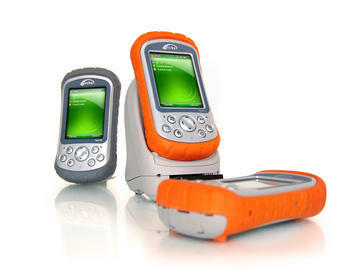 Visit the Archer’s specifications page for all the nitty-gritty details on this rugged handheld computer.